An invitation-only group of professionals and industry leaders gathered together last week for the Women in the Economy conference, arranged by the Wall Street Journal. The goal of the conference was to create action strategies for the career advancement of women through “Executive Task Force” working groups. While some argue gender inequality is no longer an issue, the forum was constructed with the understanding that there is indeed a long way to go for equal opportunities and treatment in the workplace. The resulting strategies assembled by the working groups are easily attainable by just about any organization, but require the ready cooperation of both company executives and their employees to achieve success. From these cohesive strategies, the three points of focus for a fairer work environment and more supportive advancement opportunities are sponsorships, accountability, and flexibility. Sponsorships (or mentors or advocates) for women are currently few and far between. 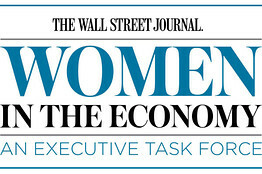 As mentioned in The Journal Report article on the conference, only 17 CEOs of the Fortune 500 are female. With so few female executives, women at lower levels within an organization rarely look to the executives of the company and see someone they can aspire to be. Consequently, many women lack the resources those with sponsorships or mentors experience, especially in the form of project and job recommendations and company navigation advice. Executives, on the other hand, sometimes choose not to sponsor an employee within the company for fear of future competition. With this in mind, what the Executive Task Force recommends is companies encouraging sponsorships between leaders and employees that are at least two levels down from their own position. Accountability seems to be an obvious approach because it’s always been a golden rule of success. In this case, the Executive Task Force is charging female employees with holding themselves accountable for setting goals and more aggressively pursuing them, while the higher-ups must be accountable for establishing unbiased performance metrics and appropriately rewarding a job well done. One of the bigger stumbling blocks along women’s path to advancement in the workplace is maternity. As women begin having children and prioritizing their families, the goals of the female professional, as well as the organization’s goals for her, can change. The lofty work-life balance is only attainable through flexible time management, both at home and at work. As such, the female professional and her company must be willing to step up to the plate to meet the demands of the family and the job. For advancement, women must stay motivated and aggressive. To do so requires support from sponsors and flexibility from the company. But that’s not all – structures within the organization must also be in place to allow for women to rise. Executives must be accountable for unbiased assignments, reviews, and promotions. The professional success of women, as well as of the organization, is dependent on full participation.